Grievances and disciplinary matters are immensely disruptive and time-consuming, and most managers struggle to know how to deal with them. 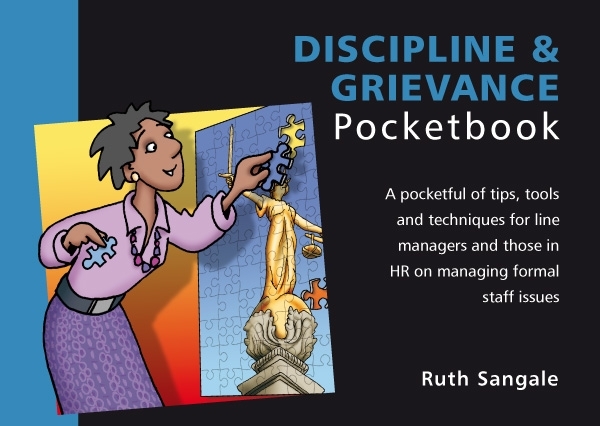 The Discipline & Grievance Pocketbook offers practical help. It stresses the importance of understanding the root causes of conflict and identifies the management practices that need to be in place in order to help prevent problems arising. The book first looks at how staff issues can be resolved informally, through mediation, and then goes on to describe the formal procedures for both grievance and disciplinary cases before finally dealing with the dismissal process. Informative case studies bring author Ruth Sangale’s advice sharply into focus.